In my ministry over the years I’ve seen many blunders as churches launch small groups. I’ve made my own share as well. Later, people in the congregation say stuff like, “See, small groups didn’t work here,” but that wasn’t really the case. Here are the ten mistakes I most often see. These can have a devastating effect on any future groups ministry. Lack of Vision. What is God’s vision for this ministry? How does a groups ministry fit into the church’s vision, mission, and plans? Why small groups? These and many other questions must be discussed and answered before taking any steps toward starting groups. Be sure your vision for small groups is clear, reasonable, and easy to explain to others. You can’t cast a vision, of course, if you don’t really have one. Under-Programmed Thinking. Yes, you do need to organize your ministry for growth. You’ll need to share leadership with a team. You’ll need an organizational chart and structure of some kind to lead, develop, and care for your leaders and groups. These are some of the tactics that come out of your strategies, which come from your vision and mission. Hitching Your Wagon to a Widely Known Church Ministry. It’s important to learn from other churches, but one of the biggest mistakes I’ve seen churches make (and I see this often) is trying to copy someone else’s groups program. First, that’s the easy way out; you have to plan for your environment. Second, what works well in one place doesn’t work somewhere else. You’re not Rick Warren, Bill Hybels, Nelson Searcy, or Jim Putman, and your church is probably nothing like theirs. Be you. Be creative. Ask God what he wants you to do. Starting Too Fast. I often hear church leaders say, “We’re going to launch x groups by y date.” You can train a bunch of leaders how to lead a group, but that does not guarantee success. You cannot develop the DNA of a healthy small groups ministry this way, however. My advice is to start one–count them, one–group that you want all the rest of your future groups to replicate. These are called “Turbo” groups. I start this one group with potential leaders (who God has led me to; Matthew 9:38), and they learn how to lead a group by doing community together. 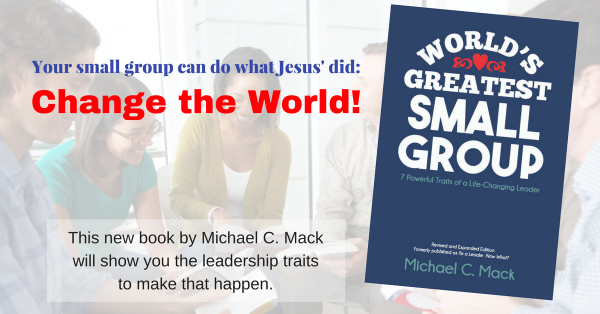 I’ve talked about Turbo Groups in several of my books, but especially The Pocket Guide to Burnout-Free Small Group Leadership. Starting Too Slow. Some leaders spend way too much time talking about starting groups, reading about it, thinking about it, and plain old procrastinating. Employ active faith; that is, pray and then, as you watch for how God is moving, start developing the ministry plans under his leadership. It’s hard for God to move through you if you’re just sitting there. Replacing an Existing Program with Small Groups. I’ve seen tons of churches try to replace people’s favorite programs with small groups with the consequence of those people blaming small groups as the culprit. It becomes a “my program” vs. small groups issue which usually does not end well. It could be the Sunday-evening service or Wednesday-evening programming or adult Sunday school or whatever. Instead of replacing these things with groups, I’d develop a strategy for transitioning these programs into small groups. But every circumstance is different, of course. I’m currently consulting with one church in which their Sunday-evening service is now on its last legs and there seems to be acceptance by those involved that it’s time to change. These people may be ready for something new. No Buy-In from some of the vital players in the church: the senior pastor (unless that’s you! ), the leadership board, the staff, volunteer leaders, and thought leaders in the church. In each of these groupings, get the innovators and early adapters on board first, and then talk with the early majority in the church. How do you know who to talk to first? Go back to #1 on this list. Once you have God’s buy-in, everything else will flow naturally. I’m passionate about helping churches avoid these blunders so they can launch healthy, growing, reproducing ministries. If I can help your church in any way, please let me know. You’ll find more information on my website HERE.